Our friends at Food52 celebrated their first year of bloggers baking and cooking various recipes from their monthly chosen cookbooks. 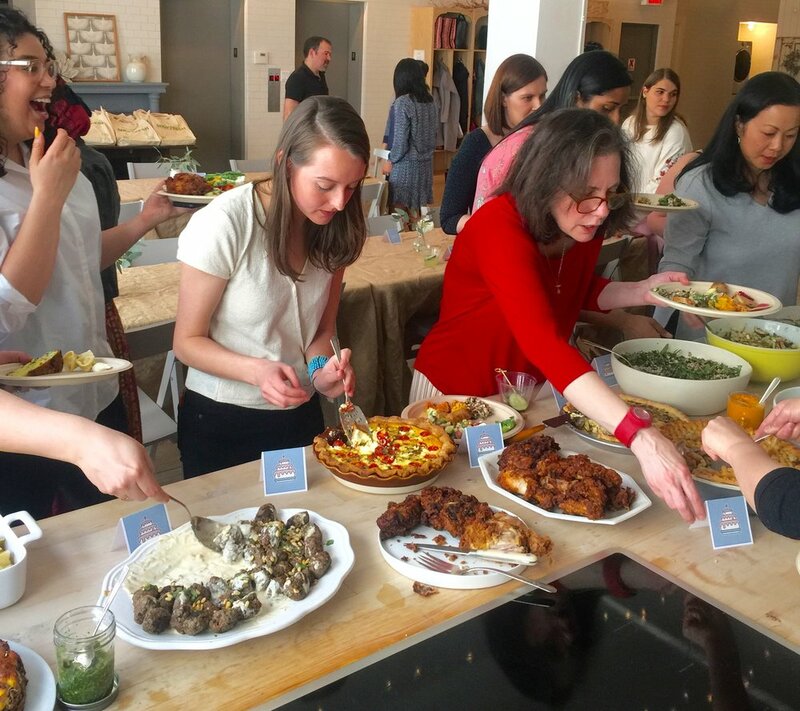 Bloggers were invited to Food52’s Manhattan office for an afternoon of tasting a wide array of dishes and desserts made by fellow bloggers. We were invites as well since, The Baking Bible was Food 52’s book for the year for bloggers to make recipes. Erin McDowell was also at the party as her Fearless Baker book was one of the monthly selections. The savory table had several recipes from Ottolenghi’s Jerusalem and Plenty. 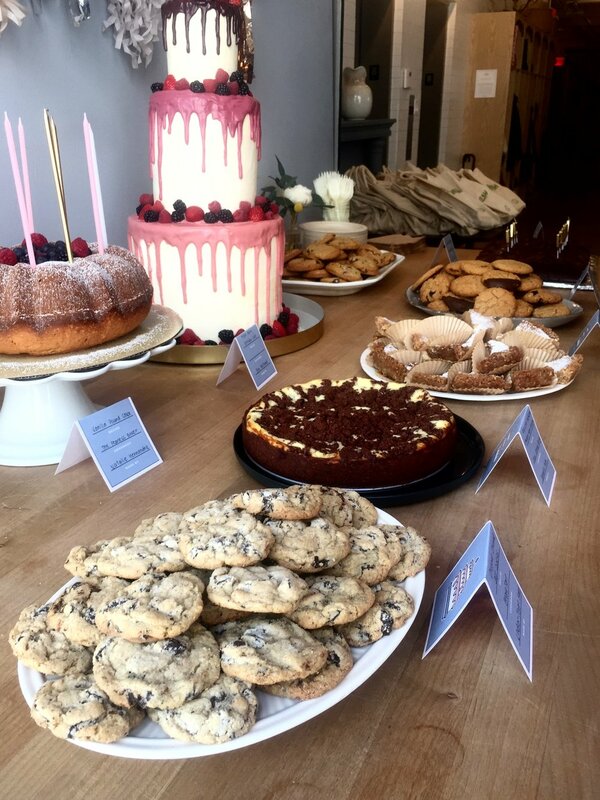 The dessert table had chocolate chip cookies and a bundt version of Erin’s lemon pound from Fearless Baker, plus a towering, three tier cake with strawberry and raspberry flavored cake layers and covered in her artistically executed buttercream. We brought a 13 by 9 inch version of our “Deep Passion Chocolate Cake” frosted with “Wicked Good Ganache.” We were honored that Food 52’s event organizer, Eunice Choi, had our cake adorned with Happy Birthday candles. The lit candles drew a crowd of smart phone camera clicks. A highlight of the party was the drawing of names for two lucky bloggers to win Erin’s Fearless Baker or The Baking Bible. This month, The Baking Bible is be one the month’s cookbook selections to kick off a second year of bloggers sharing their cooking and baking experiences.